For those of you Nintendo fans, the Mother series, or Earthbound as it's known in the US, is a very unique RPG series that takes place in modern (well, by 80s/90s standards) times, where you play as a boy who, alongside other kids, try to save the world from aliens, and you fight things like hippies, animals, cars, trucks, big piles of puke, sentient guitars, etc. 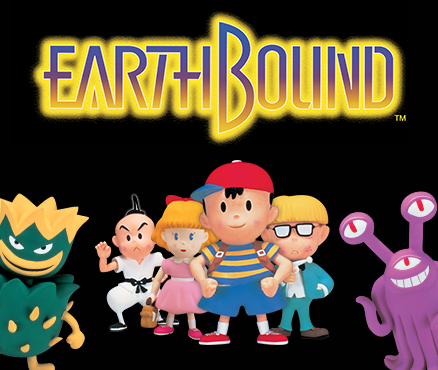 This is the game where the characters Ness and Lucas come from, as they're characters in the Super Smash Brothers series. I personally love this series, and as of now, Mother 3 is my favorite game of all time. Yes, it even beats Pokemon!